When I think about moments in my life where I am the happiest, it is when I am moving, exploring, letting my inquisitiveness get the best of me. I have always loved the un-known, the hunt of what could be out there. When I was a kid I was obsessed with ghosts, Halloween, and scary stories. Could it all be real? I would read books upon books on anything that seemed remotely mysterious or scary. Sometimes they would be non-fiction like the sinking of the Titanic or ancient Egypt. Other times it would be just RL Stein’s Fear Street books. Reading became my outlet for curiosity. As I moved into my teenage and early college years I would fill this need with spending hours walking through flea markets, garage sales, and thrift stores trying to find a treasure, hidden or forgotten by others. Who owned it before, what was their story? Was the ship painting I had hanging on my living room wall someones wedding gift, was it bought while traveling, or simply someones hobby? To this day reading and thrift stores are still two of my favorite past times, but I have now added in a new way to quench my thirst for the new and that is the exploration of cities. When I used to travel I would spend hours in advance preparing everything I wanted to do on the trip. I had well thought out agenda’s and all of my time would be getting from one activity to the next. Now that my life is lived in a world where you go from one obligation to the next I have found living that way on a trip or vacation is not what I need. Now I want to just get lost in my surroundings. Find a hip coffee shop off the beaten path, the little corner market that stocks the most amazing gourmet cheeses, the wine bar with the inviting candle light from inside. This last week I was in New York City for a work trip. 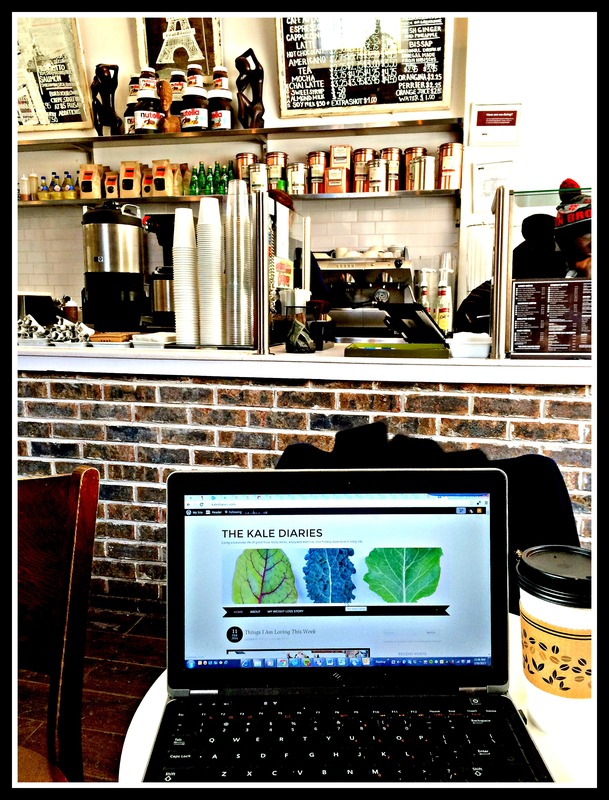 I decided to take on a few extra days and work remotely from coffee shops while exploring the city. I have been to NYC over a dozen times, but as anything else it is ever evolving, changing, and constantly new. In just one week I managed to log 163k steps or about 82 miles. Now some of these steps were from running or spinning or the other workouts I enjoyed while there, but the majority of these steps were from just walking. Now what did I encounter over these 163k steps? I found quaint coffee shops, an over abundance of clothing stores, new spinning, rowing, and barre studios, locals shoveling snow after a big storm, endless amounts of toys, the off smile from a stranger, conversations with friends and colleagues, admiration of fashion choices, but most importantly I found time with myself and my thoughts. As I sit here now typing this from my hotel room on my second back to back work trip I cant help but long for a walk through the cold. Alas, I am on my way back to my normal routine where walking will still be a big part of my day to day, but not like how it was this last week. I guess I will now find contentment in the week by sharing the moments captured from these walks. So stay tuned….